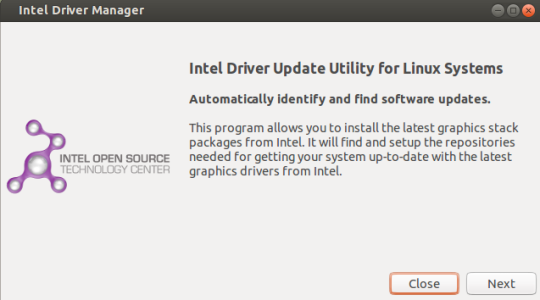 Intel, just updated their Linux graphics driver manager to version 1.0.2 and it comes with the built in support for .deb packages. In simple the updated Intel graphic driver for Linux can be easily installed via apt-get commands. The Intel graphic stack installation allows the best user experience with Intel graphic hardware when using Linux operating system. The latest Intel graphics driver package version (2013Q2) for Linux comes with improves performance, fixes bugs, and introduces new hardware-accelerated media encoding formats and video processing features. If you want to know more about the release info then check out the official release notes’ page. 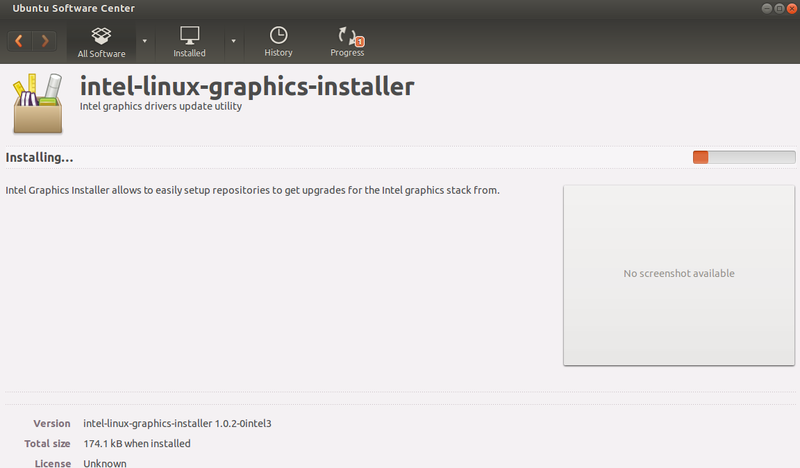 What is important with this release is, the new intel graphics installer for Linux automatically installs the repository and its key also it will be available via software center for easy upgrade to feature releases. We already installed the updated Intel graphics driver on our Ubuntu machine. Here is how you can do it on your Ubuntu machine. Just download the Intel graphics installer package from the official website here. 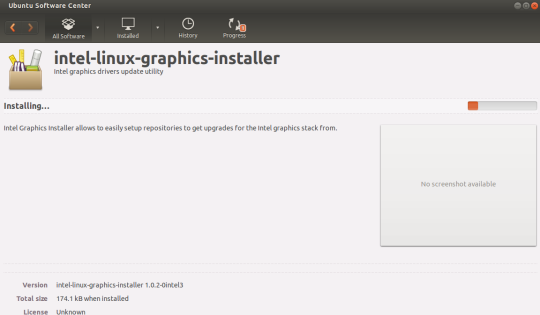 Now just run the graphics installer package, it will be opened immediately with Ubuntu software center same as below. Click on the install button to start the installation. 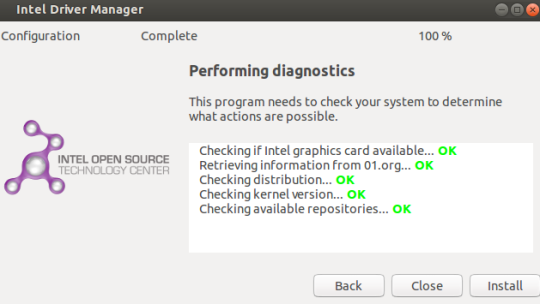 Now open the Intel graphics Installer for Linux and click on next on the first screen as shown below. Once you go through the setup process you will be greeted with the result same as below. Now it’s time to restart your machine to feel the improvements in your Ubuntu machine.If you are an expert over command mode then no need to go through this graphical things, just you do these from the terminal itself. Before going for any changes please make sure you already taken the backup of your PC data and settings before doing any changes to your real time environment. If something went wrong better contact the official forum.